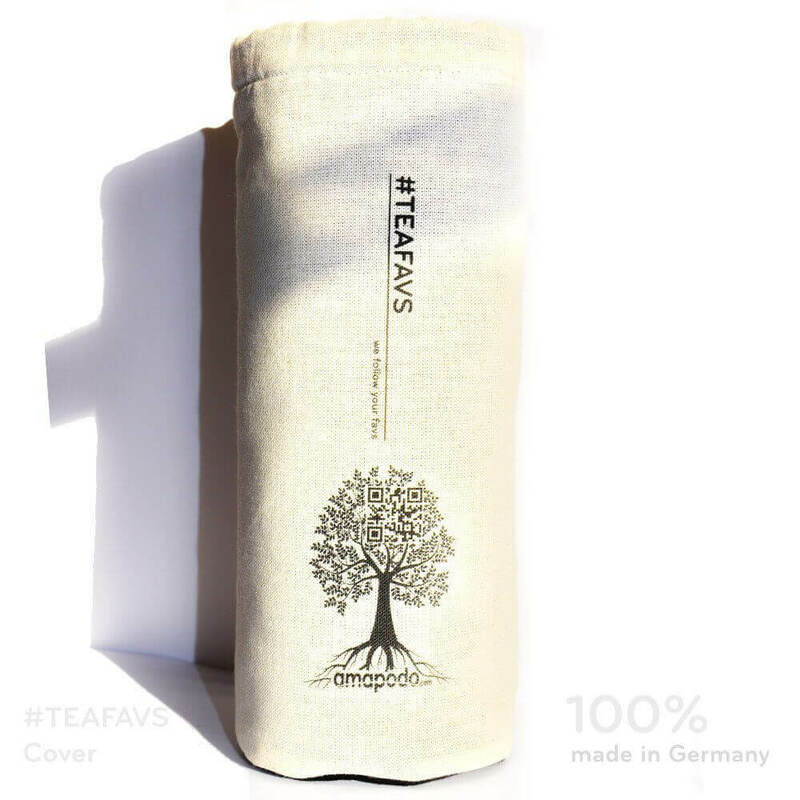 Whether in the office, during a lecture or a winter excursion – a warming, delicious tea is a must for many connoisseurs here in Germany. 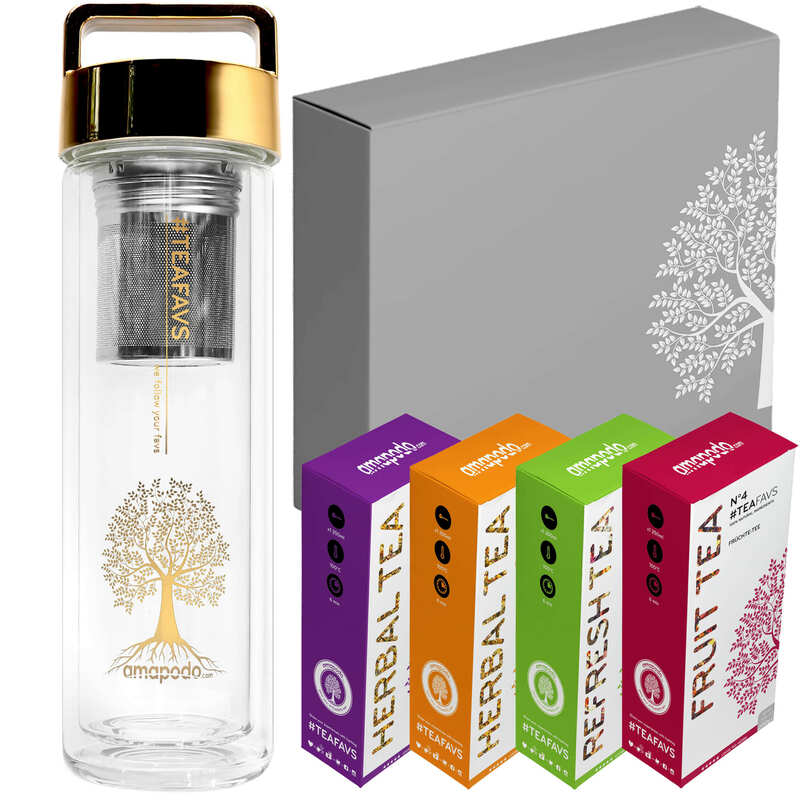 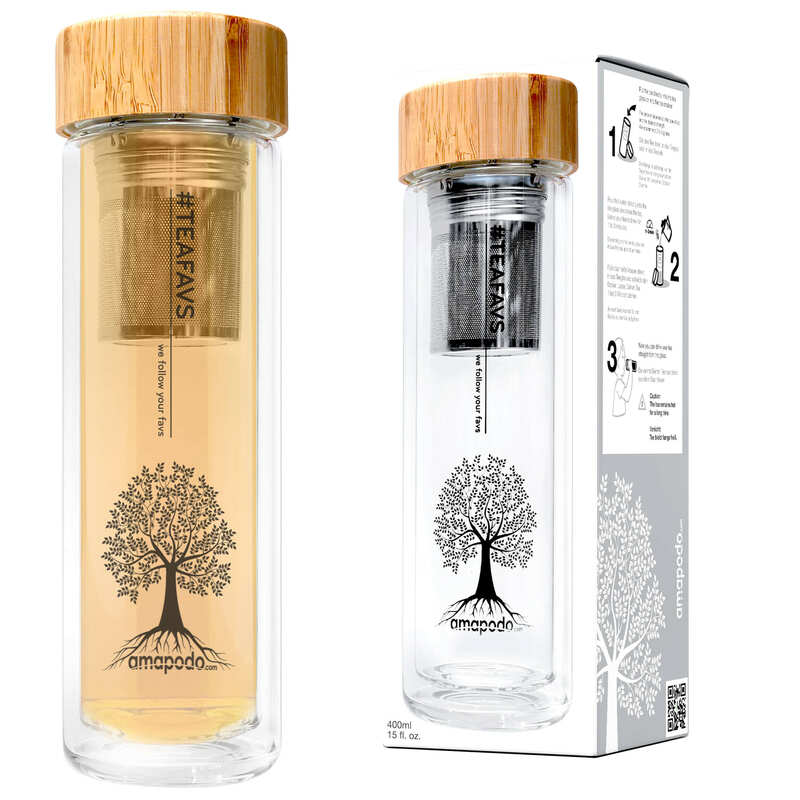 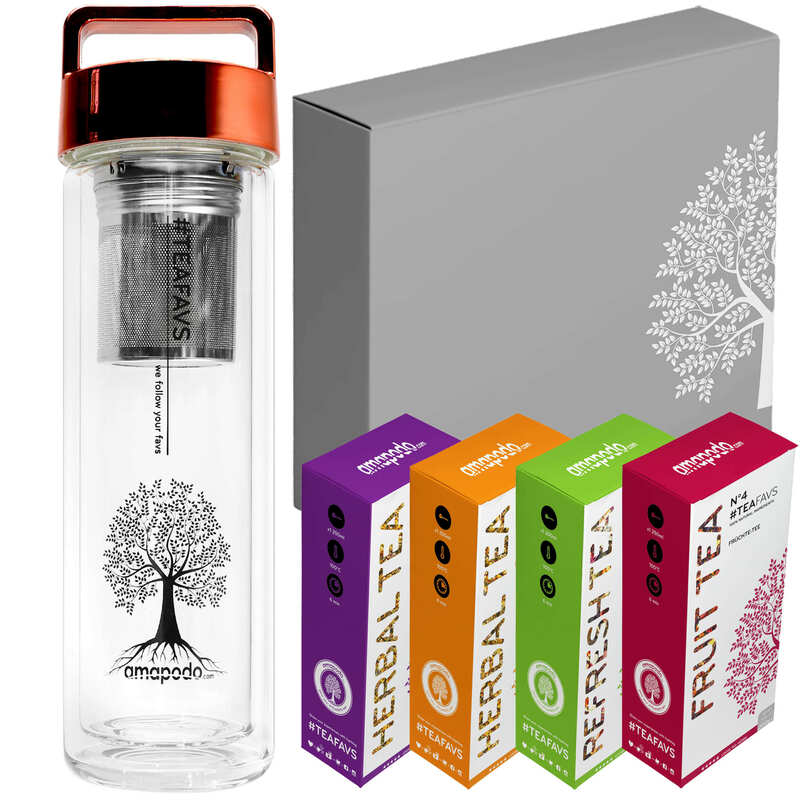 Preparation and enjoyment become a special pleasure with the Thermo Tea Bottle, which combines all functions from preparation to the tea glass and becomes a practical companion on the go. 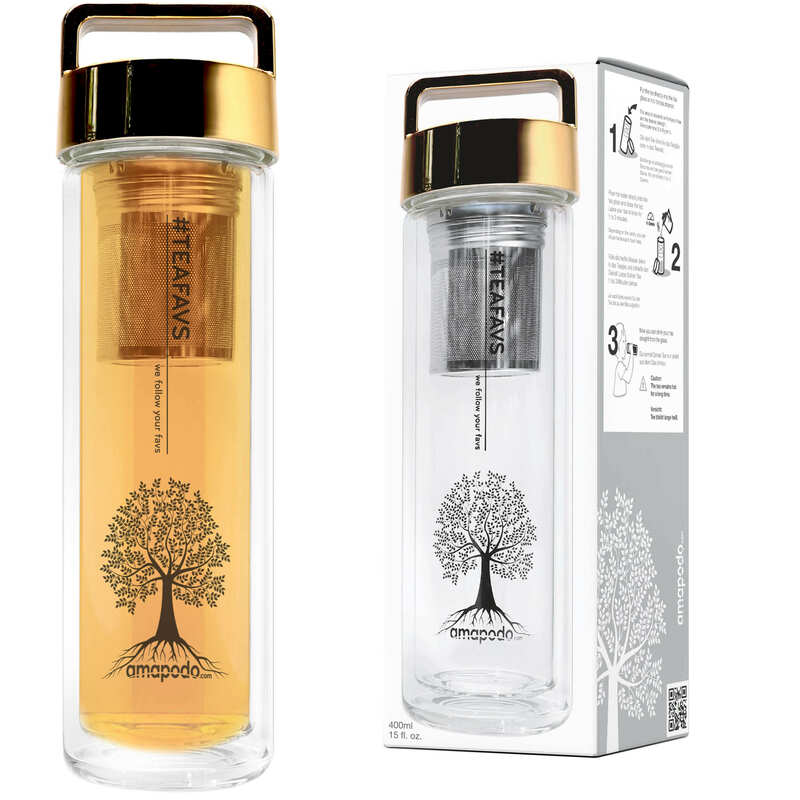 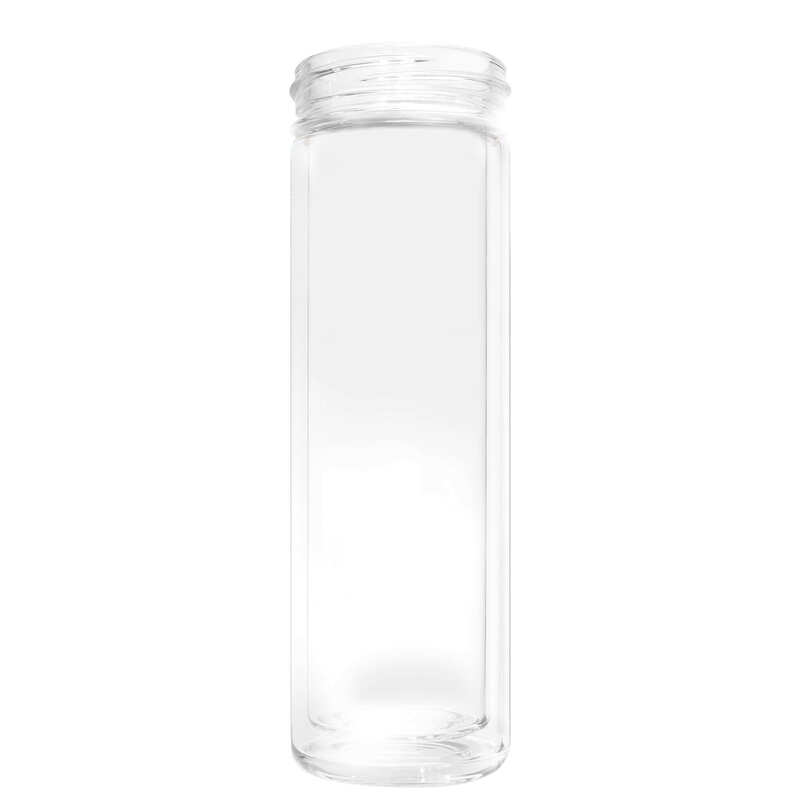 The heart of the Thermo-Tea bottle is a double-walled tea glass made of borosilicate, which convinces through highest robustness and temperature resistance. 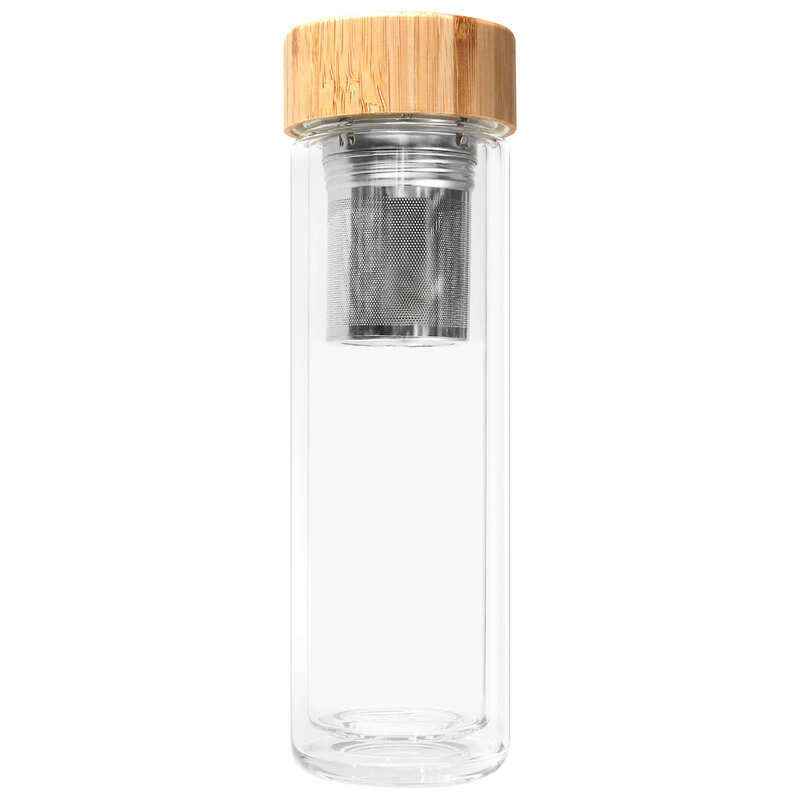 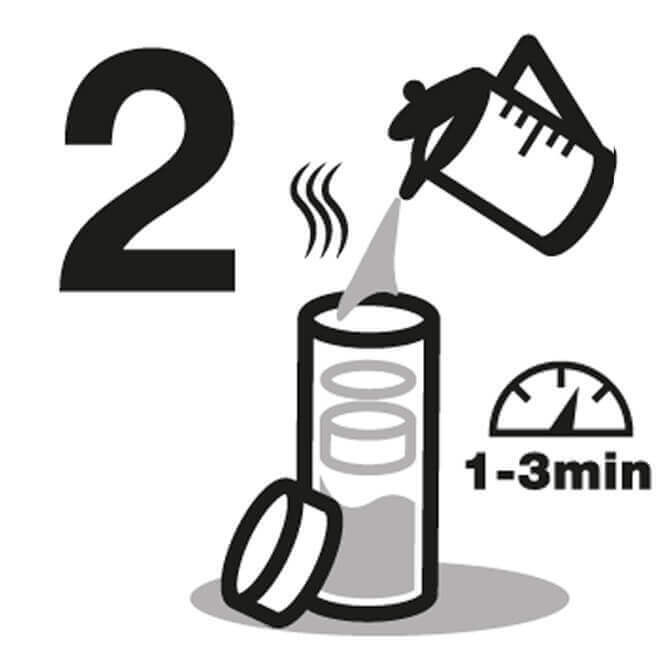 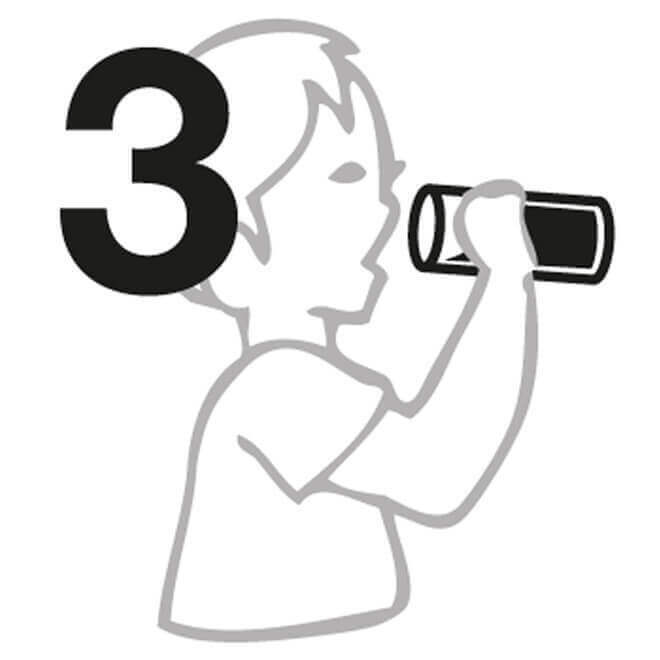 Thanks to its double-walled character, the infused tea remains warm for several hours, while the tea bottle can easily be touched from the outside. 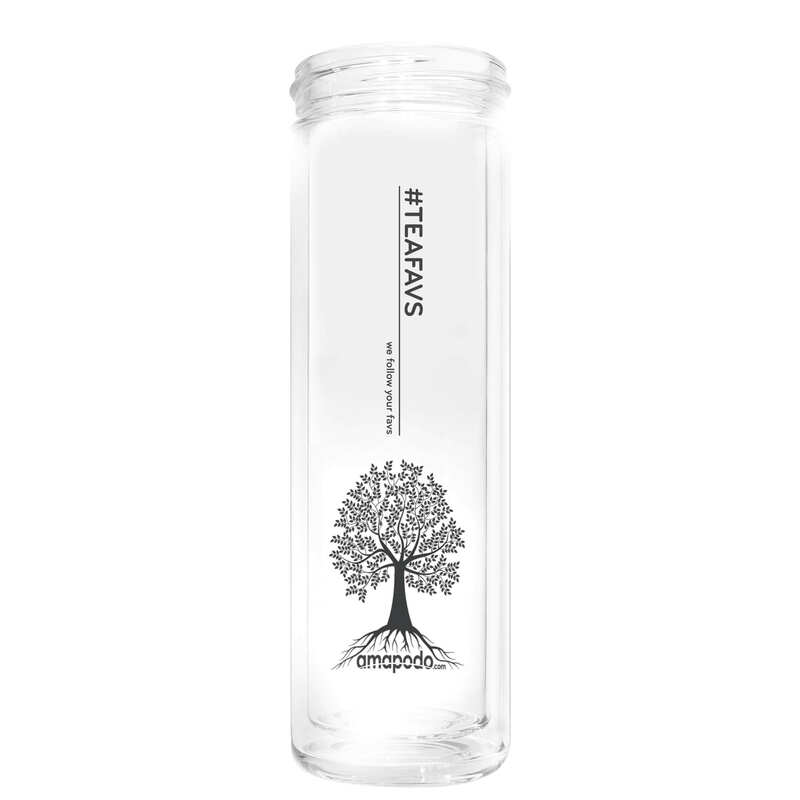 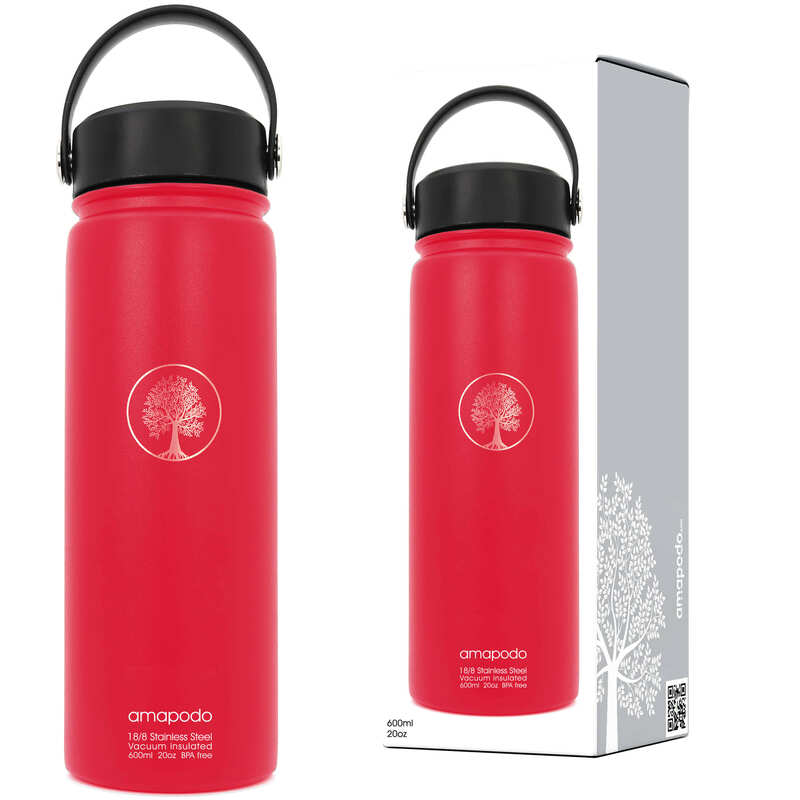 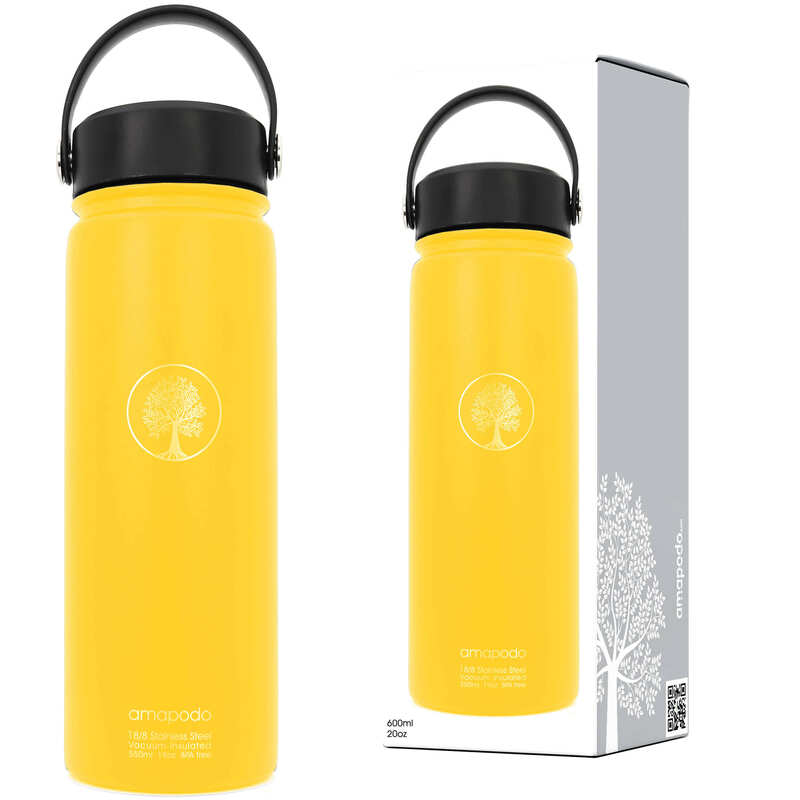 The large capacity of the thermo tea bottle ensures particularly long tea enjoyment that goes far beyond classic tea and coffee cups. 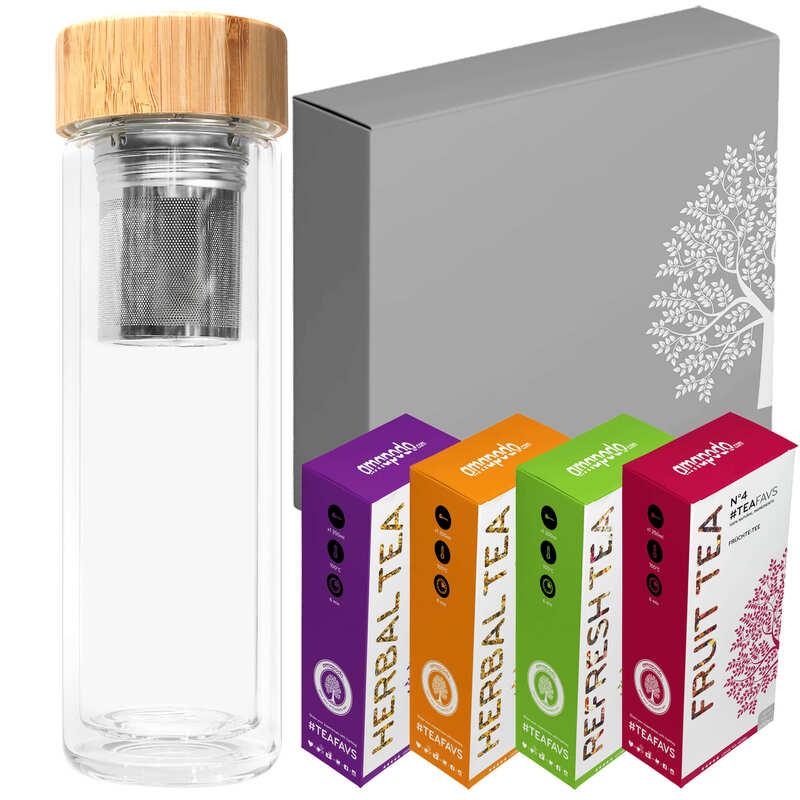 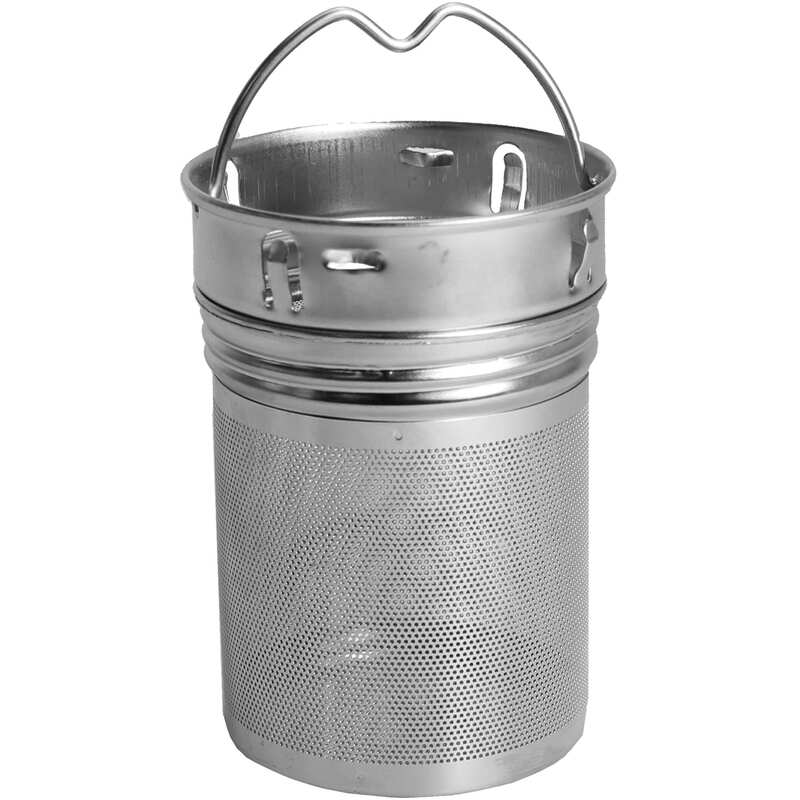 The integrated, two-piece stainless steel strainer allows loose tea to be poured directly into this large tea glass, so you can confidently do without an additional teapot. 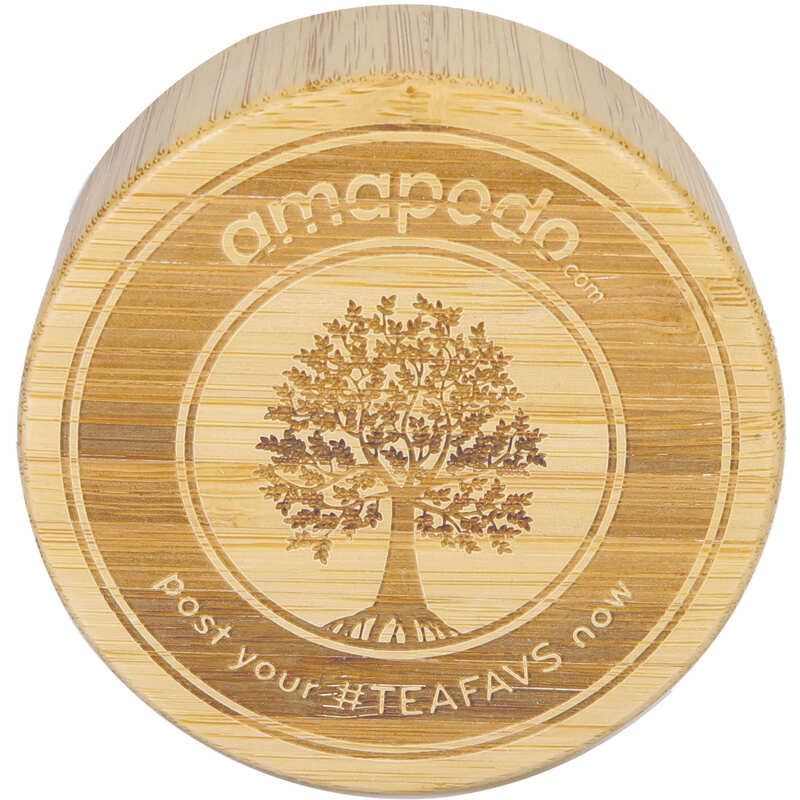 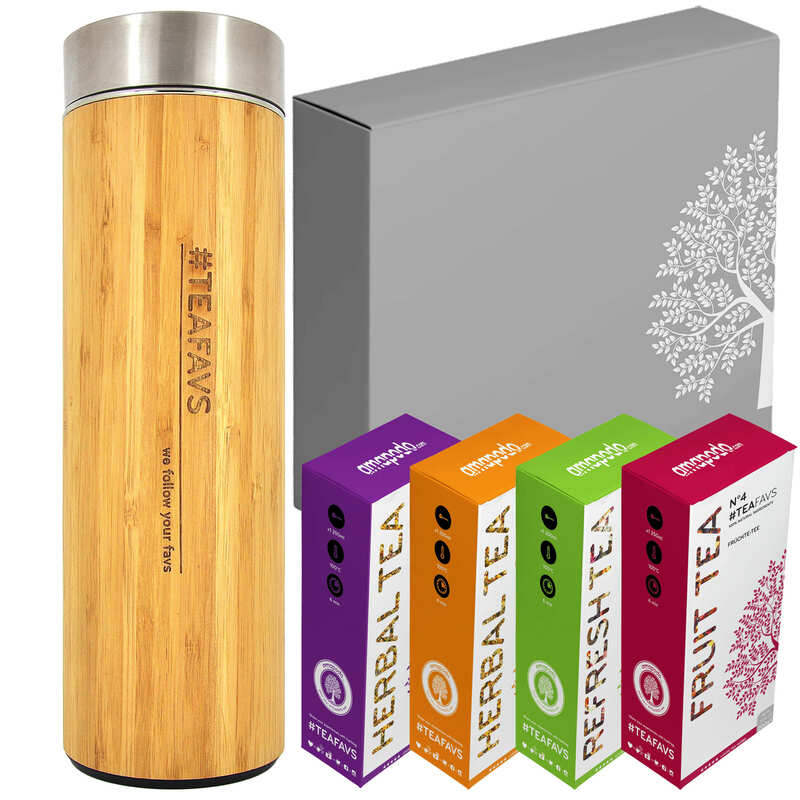 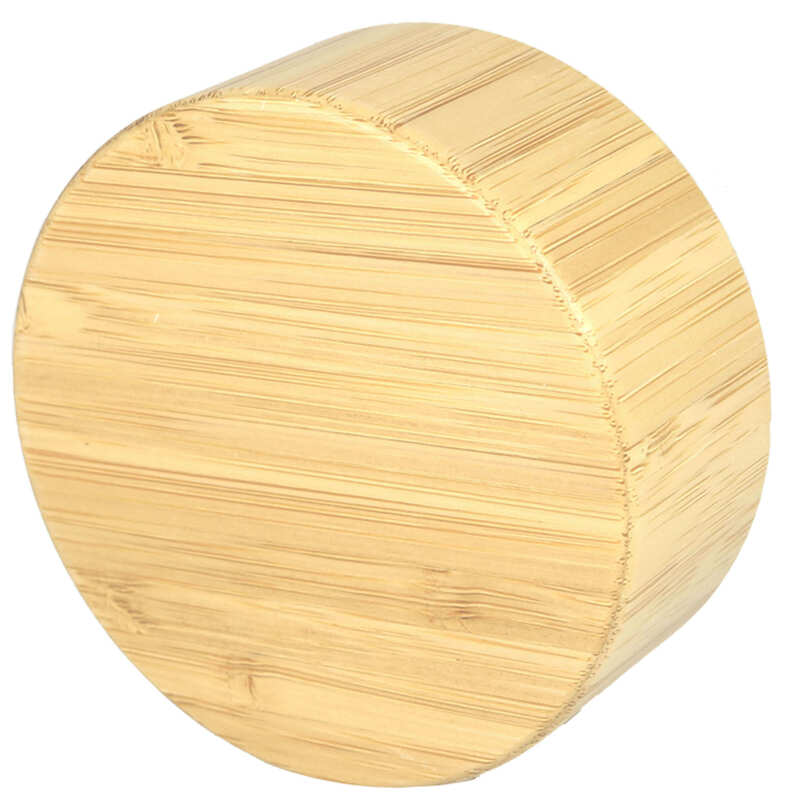 A lid made of genuine bamboo ensures that the tea bottle is securely closed, giving the drinking vessel an Asian charm. 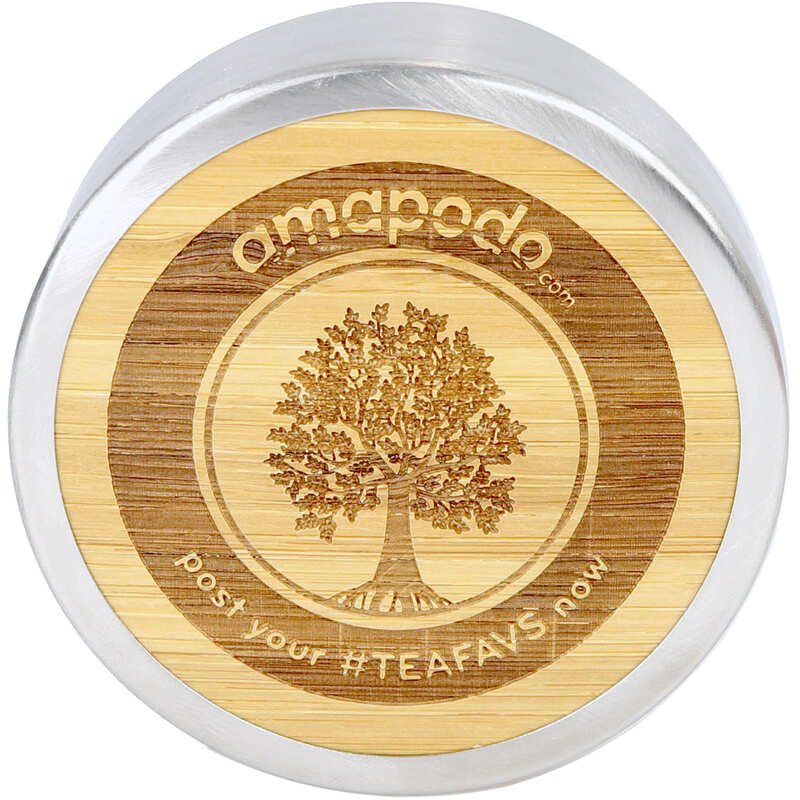 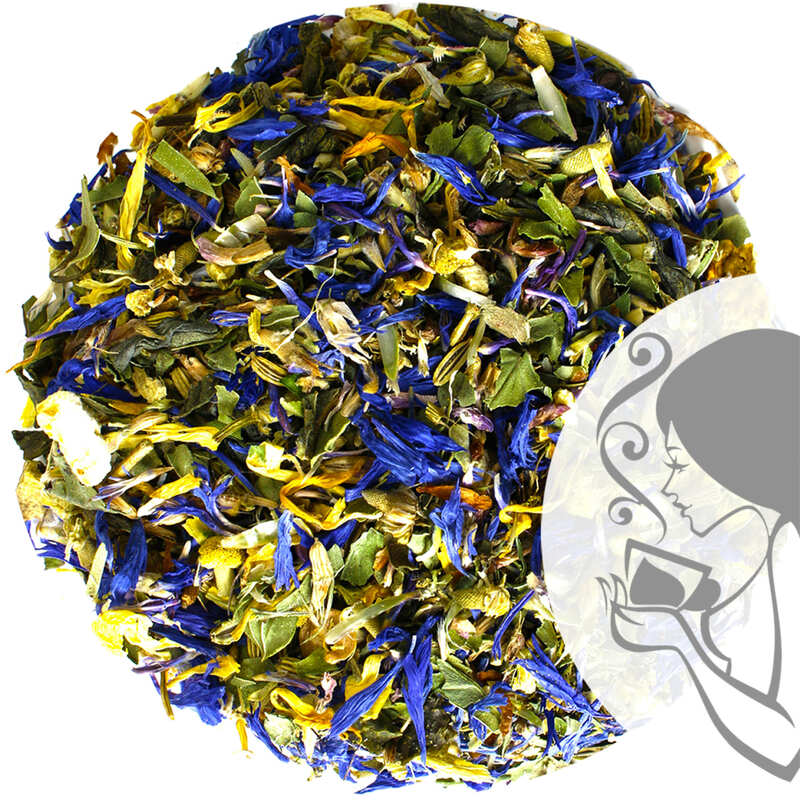 On this continent, closable tea cups have long been part of everyday professional life, loose tea can simply be carried along in the tea strainer and only needs hot water for hours of tea enjoyment with several infusions. 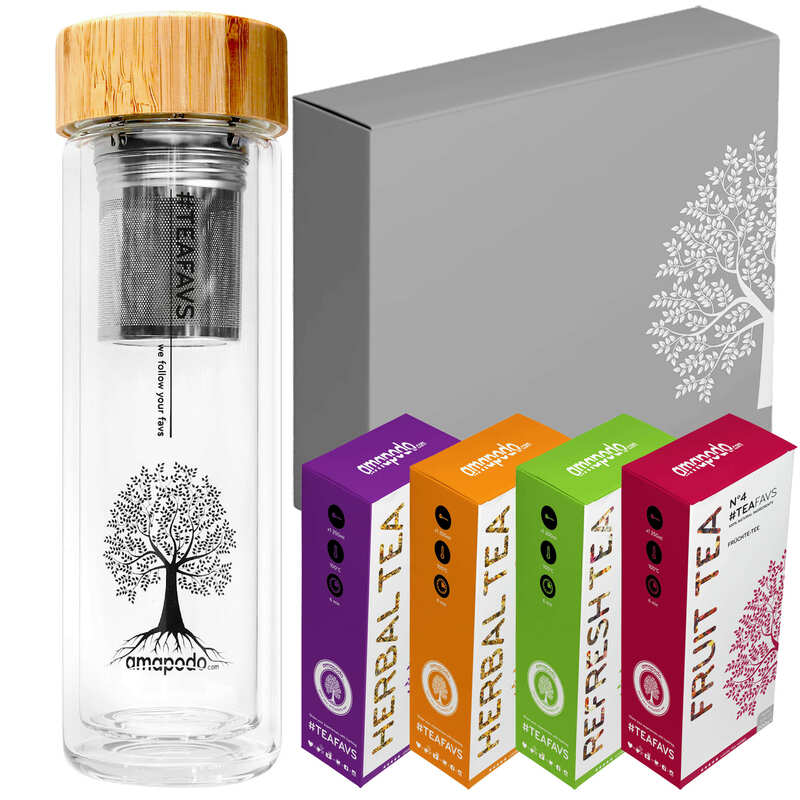 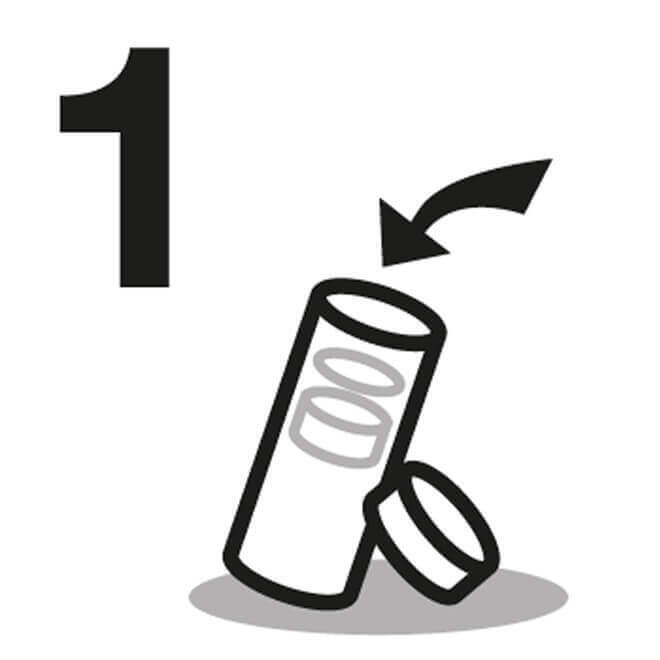 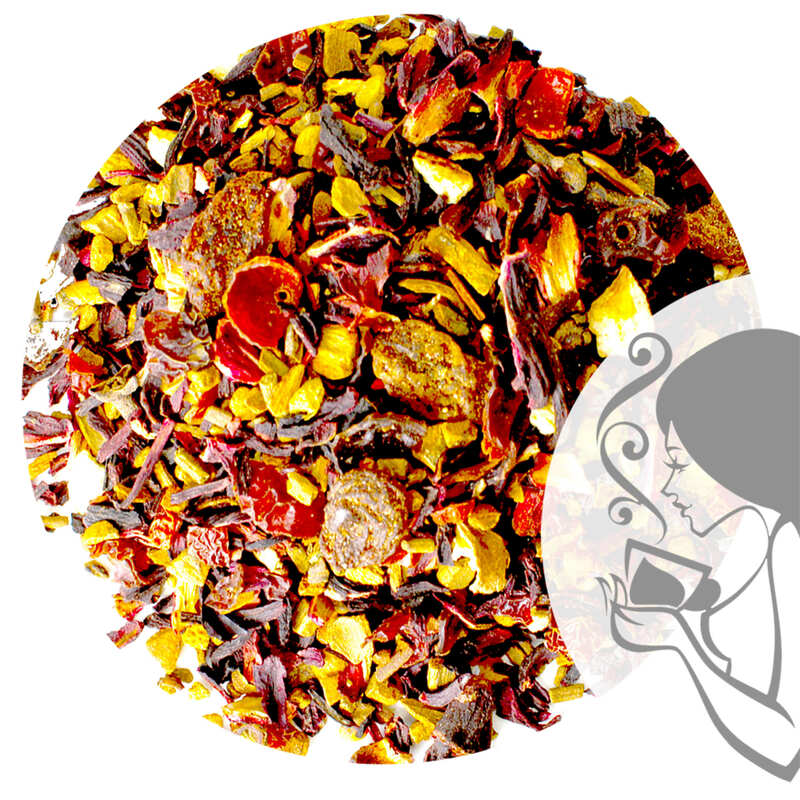 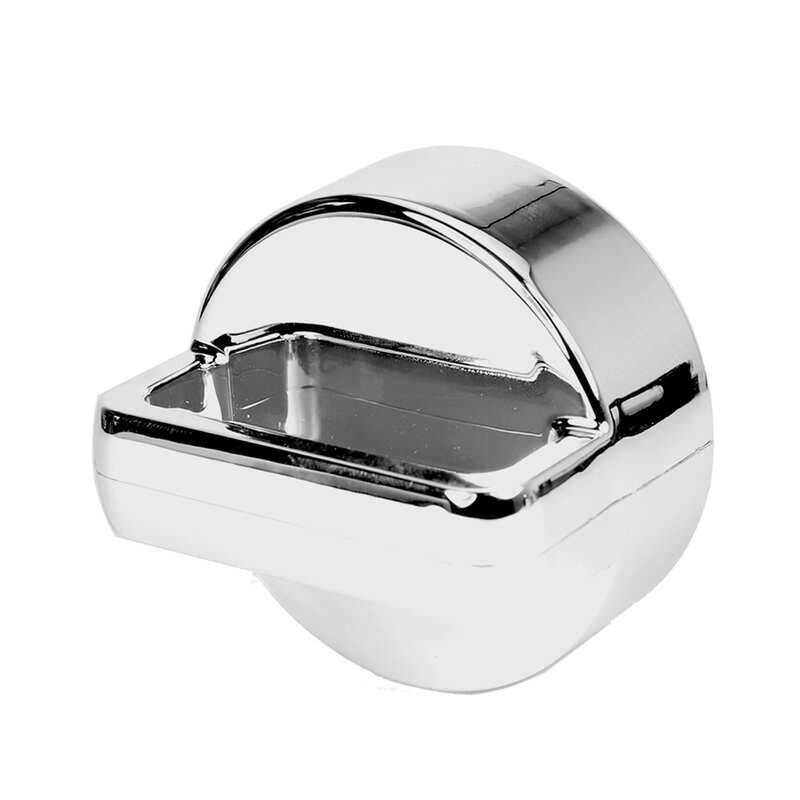 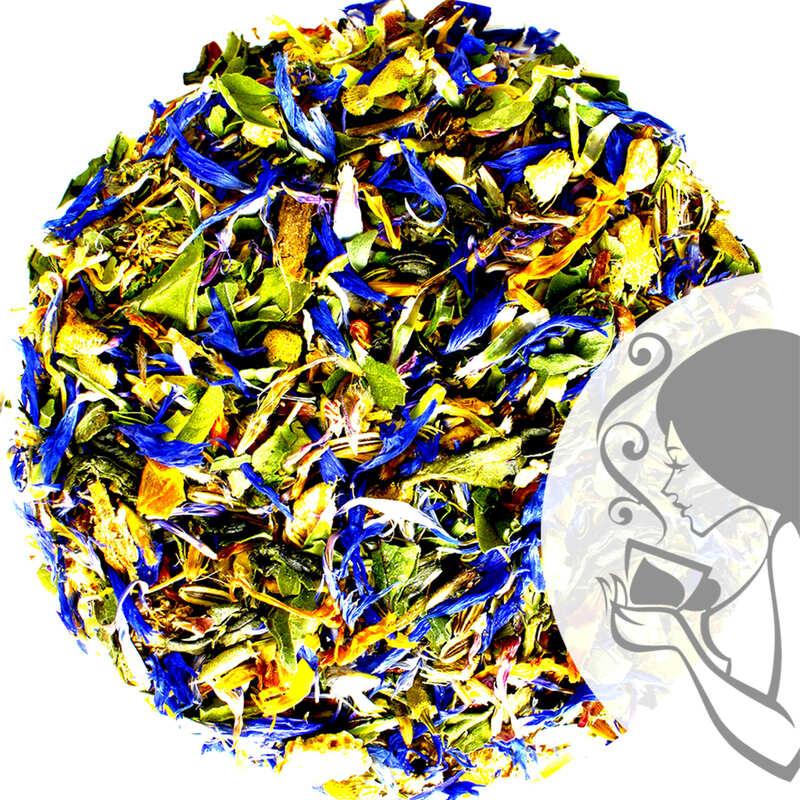 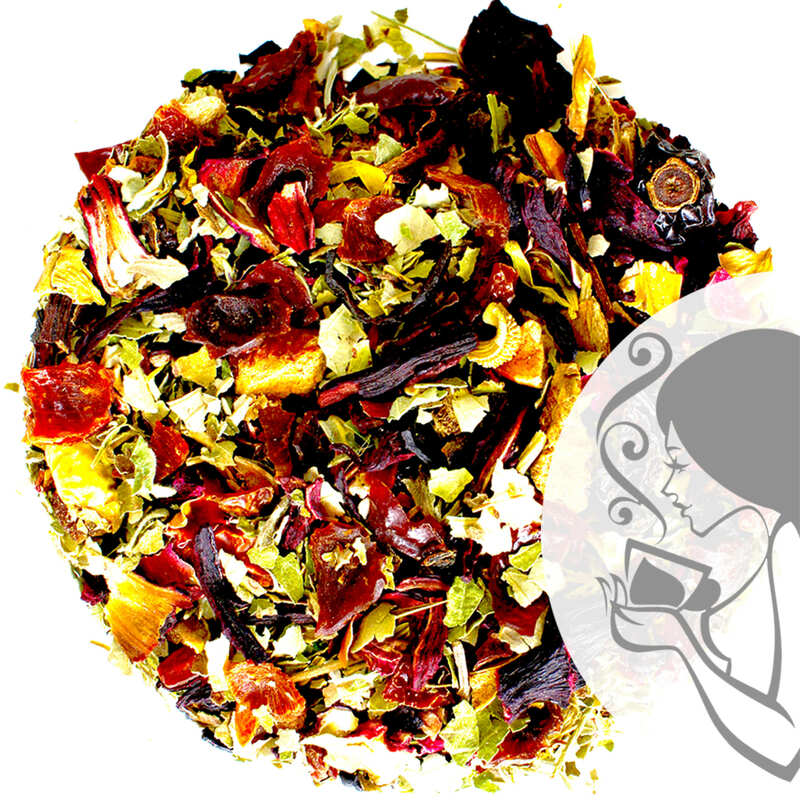 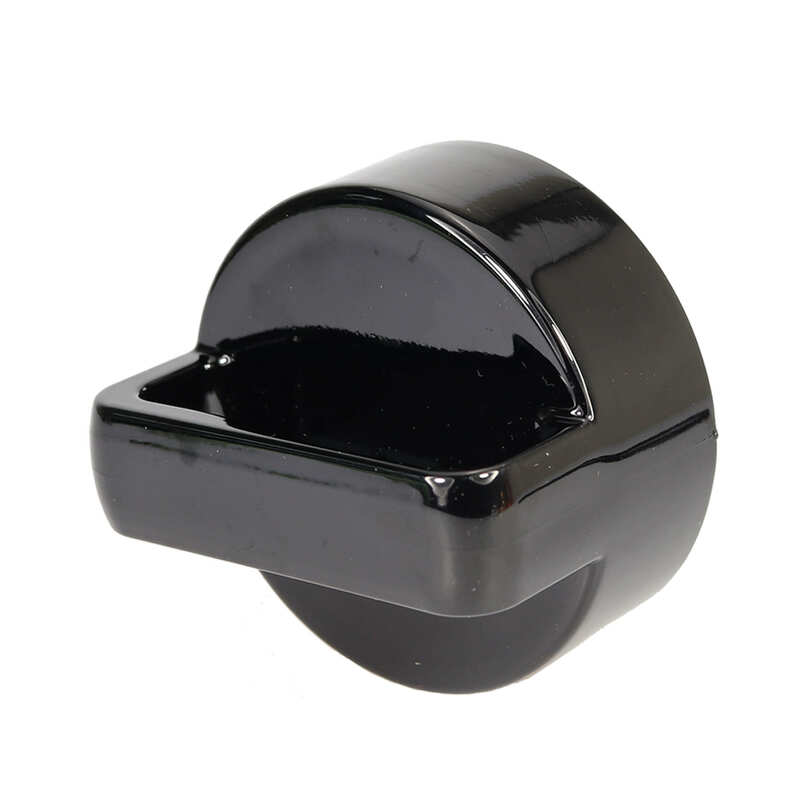 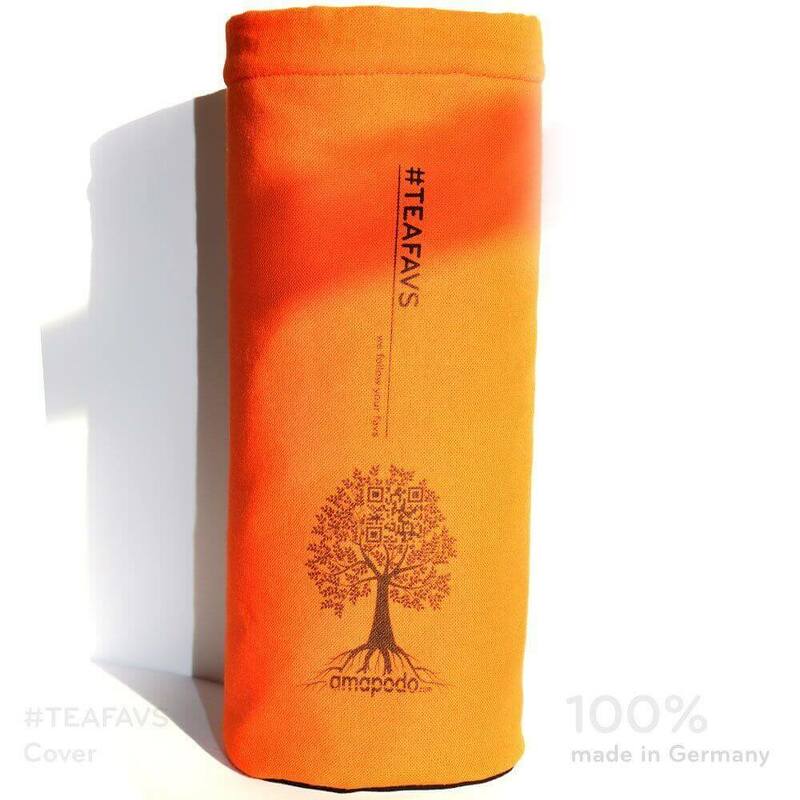 All individual parts of the tea bottle are easy to clean and the glass body does not absorb any odours from the tea. 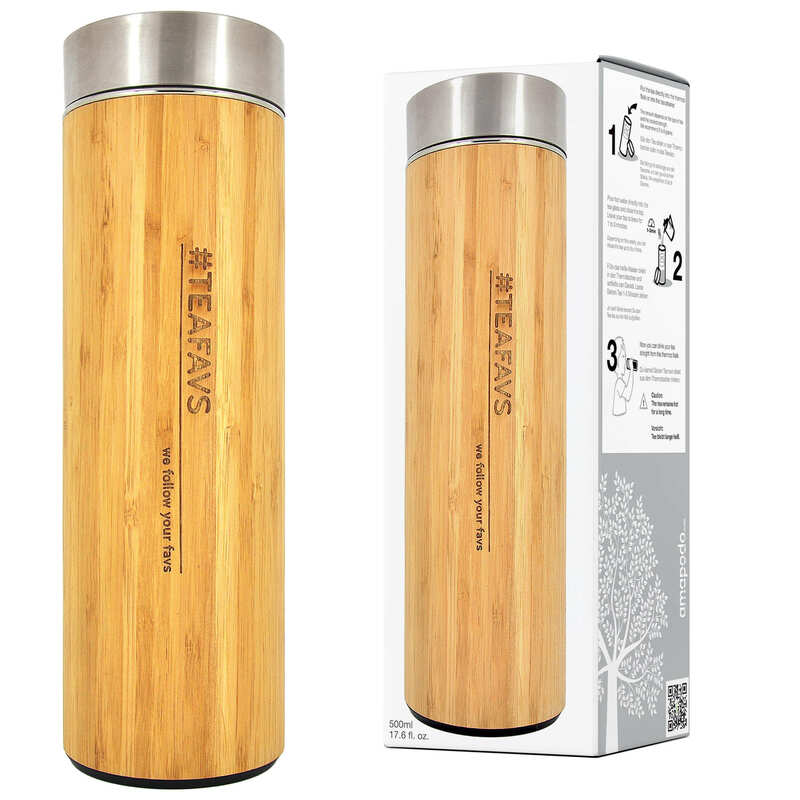 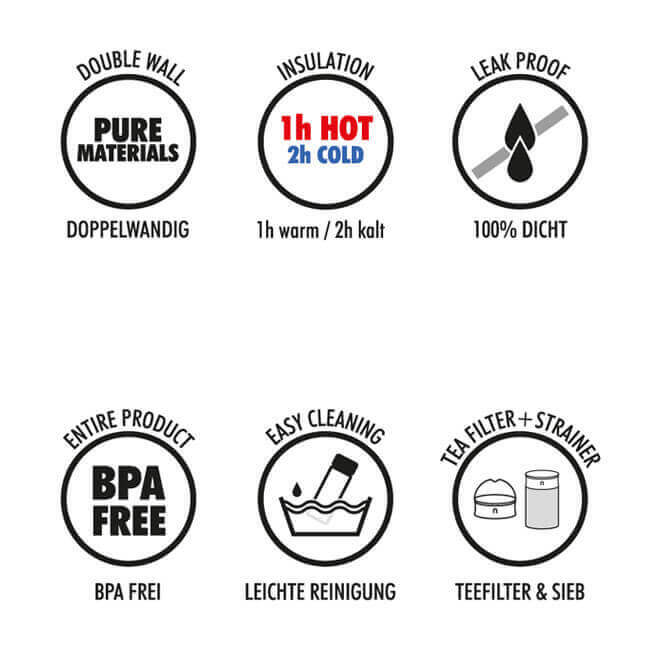 After a simple cleaning by hand in the evening, the thermo tea bottle is ready for use again the next day and always ensures a particularly practical tea consumption. 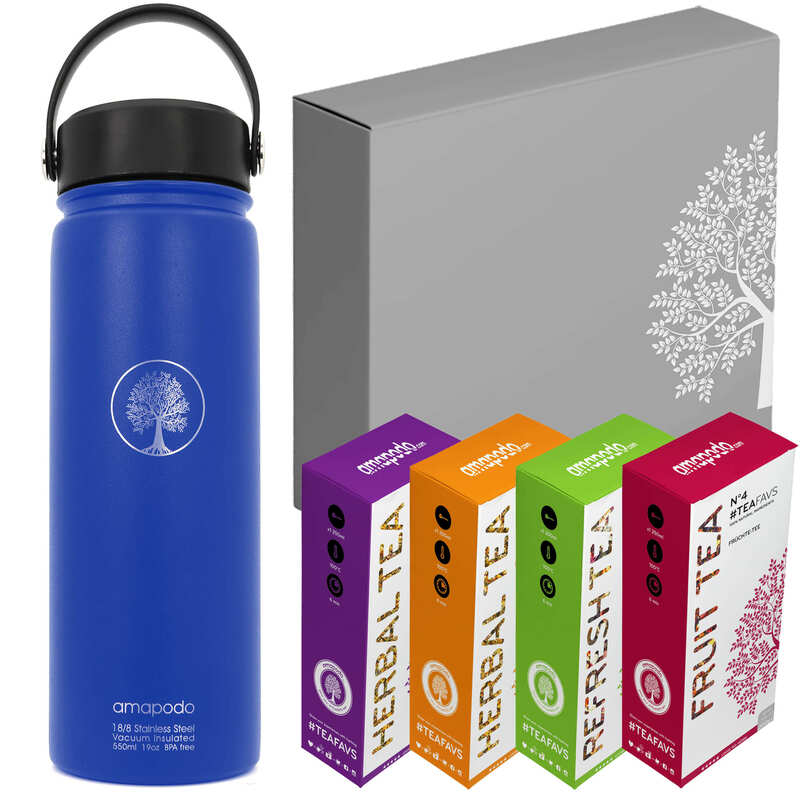 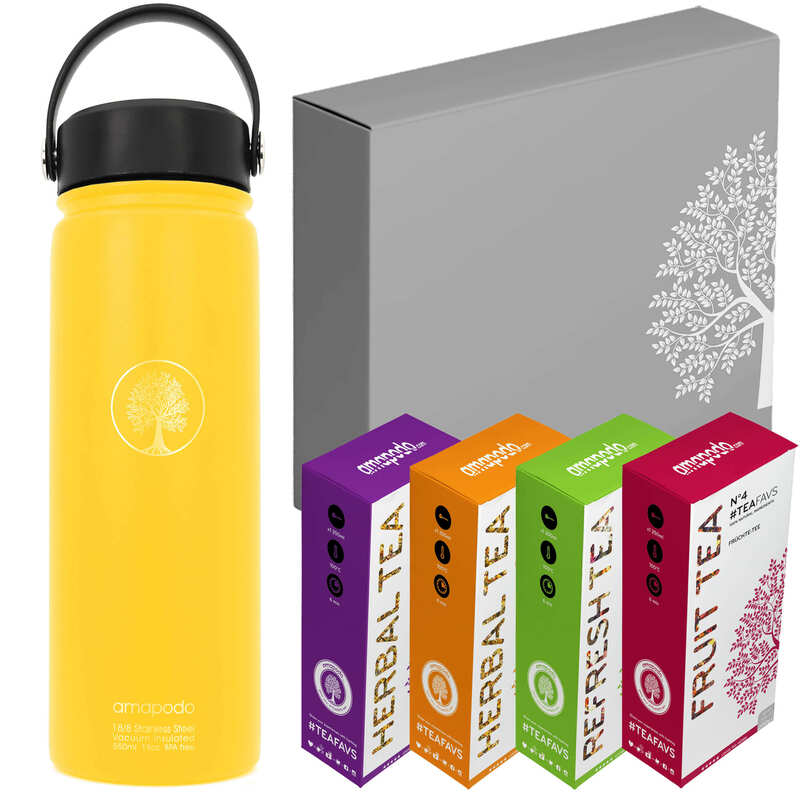 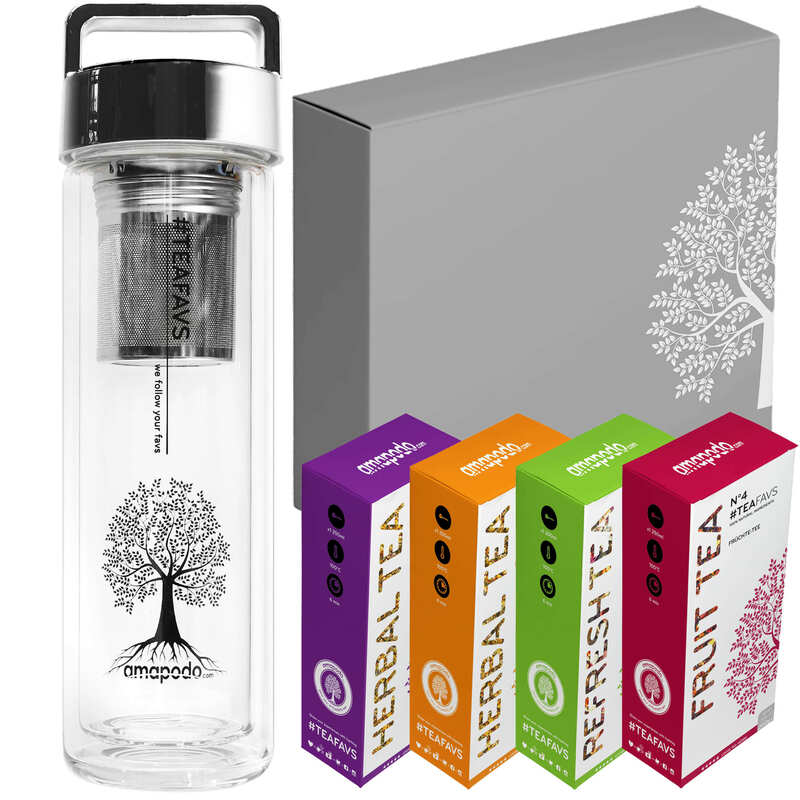 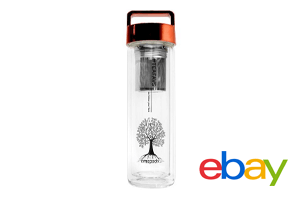 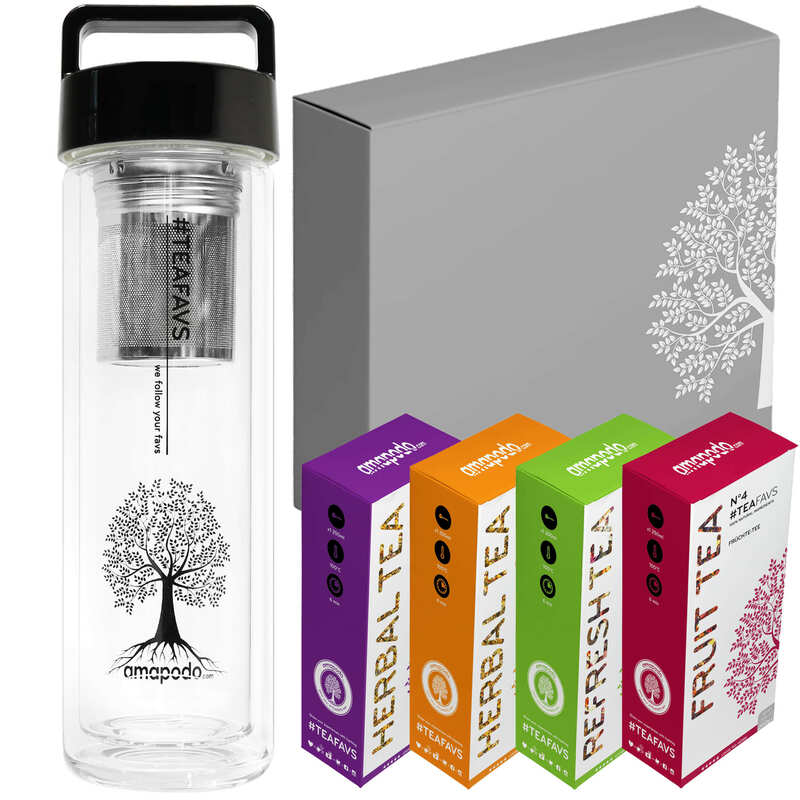 Live out your love of tea particularly simply with a thermo tea bottle! 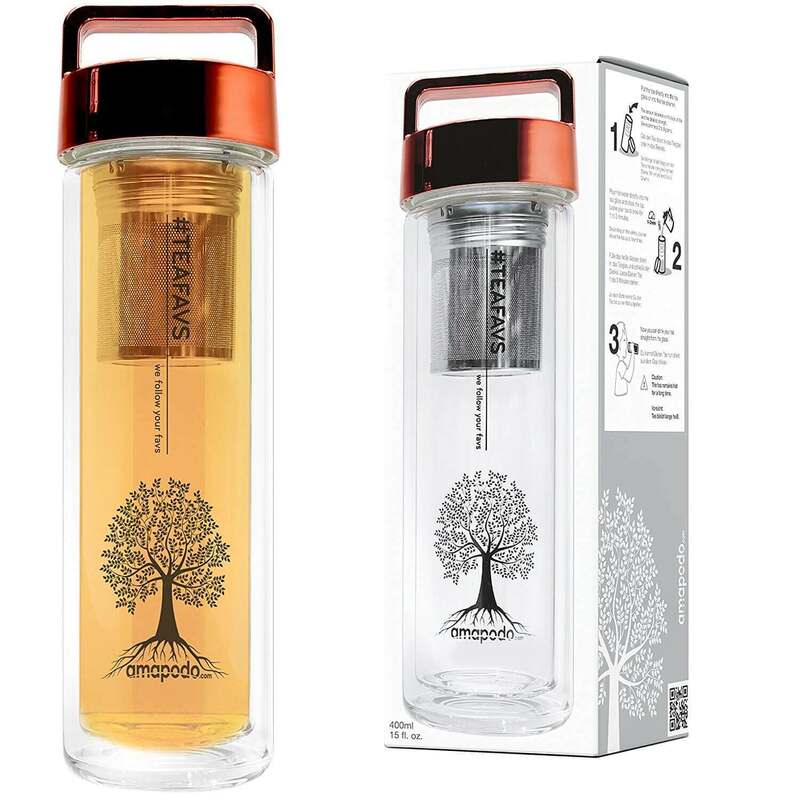 Curious glances are guaranteed with the Teafavs Thermo Tea Bottle when you take it with you in your professional and everyday life. 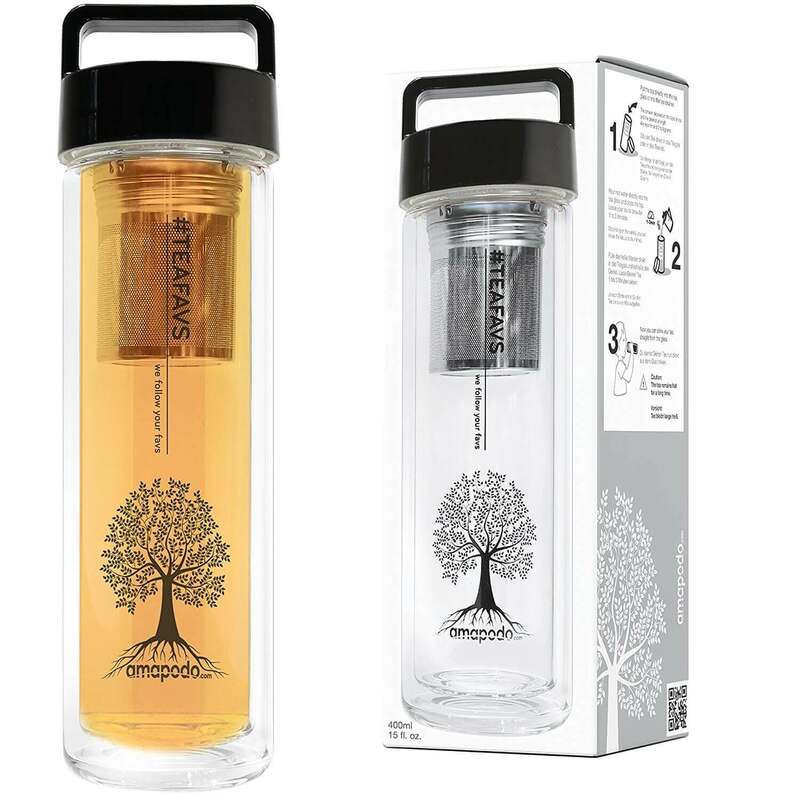 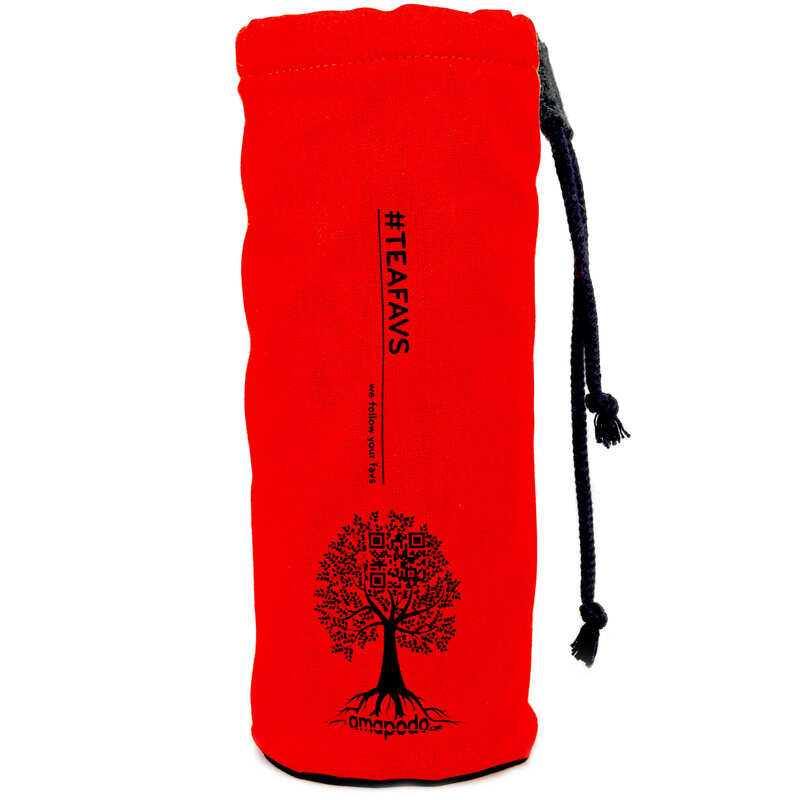 Thanks to its unbreakable and robust character, the tea glass will fit in any backpack or handbag and can be carried wherever you want to enjoy your favourite teas. 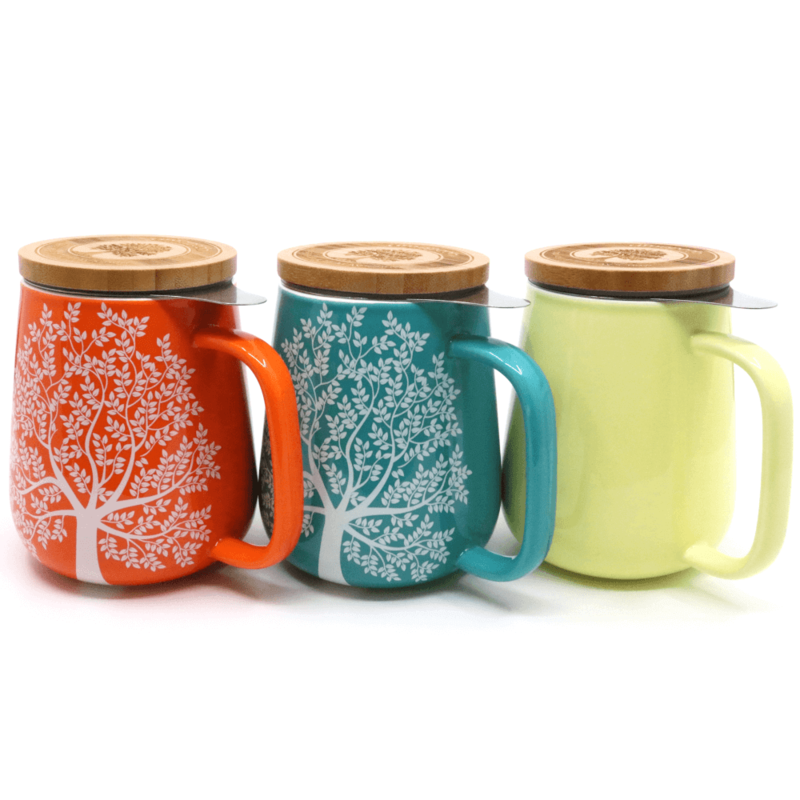 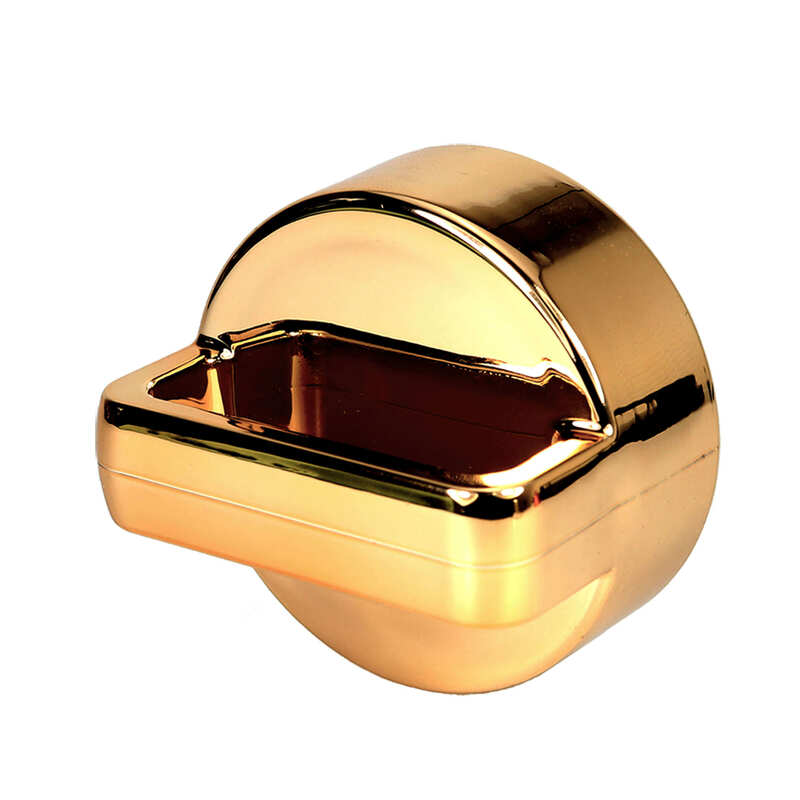 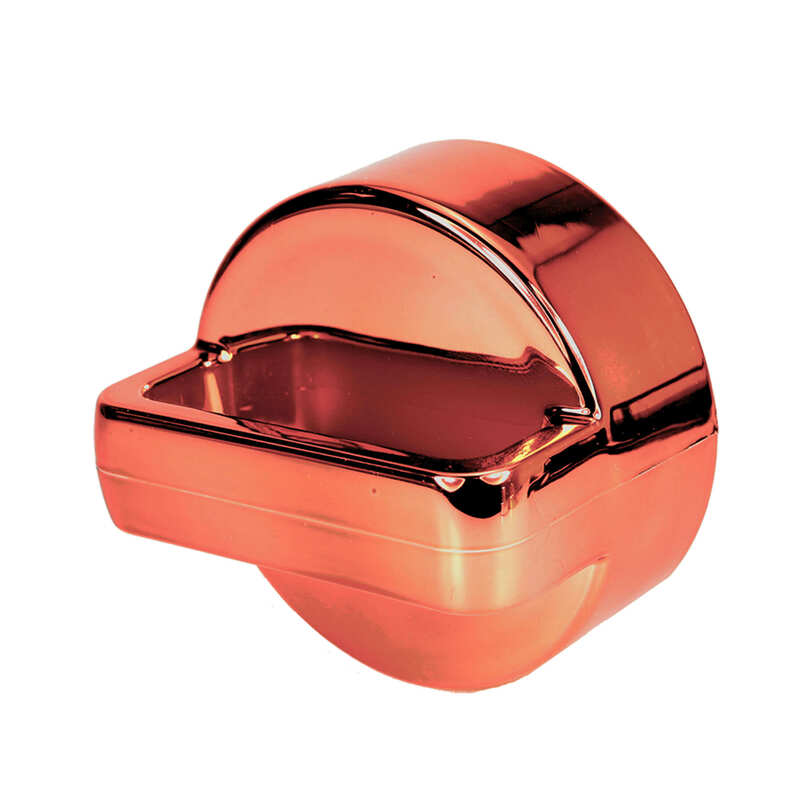 In online shops, unique tea cups at particularly attractive prices are waiting for you to make your daily tea enjoyment even more practical. 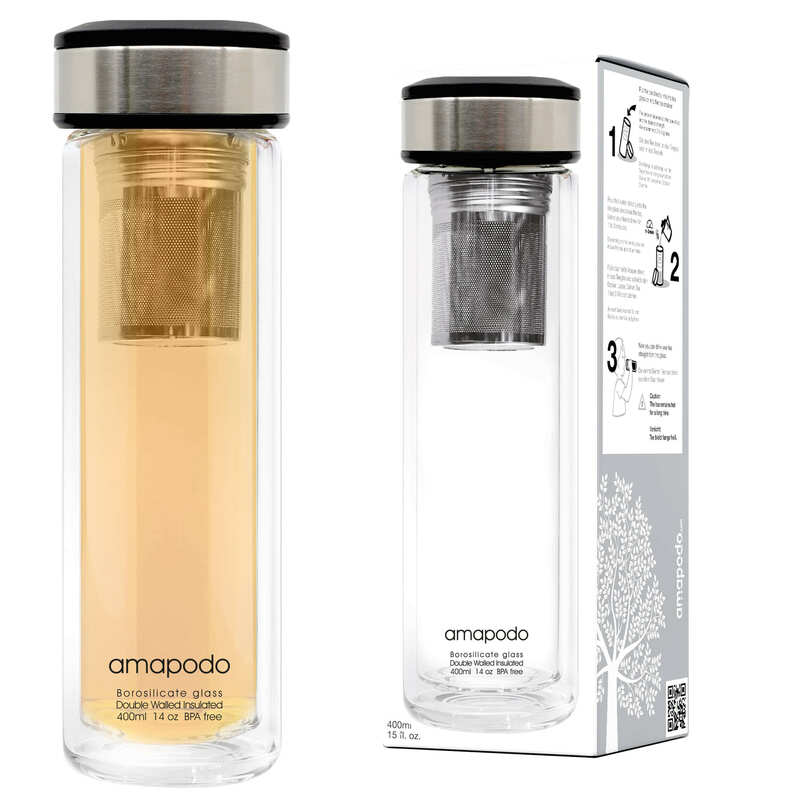 Of course, the robust glass bottle with thermo effect is also ideal for coffee and other hot drinks.